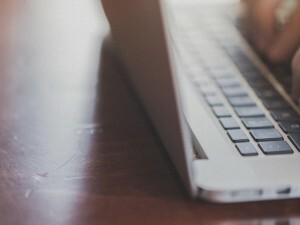 What follows is an update from Pastor Robin Bassam who shared his testimony with us here. Robin is pastor at Trondheim International Church in Norway. I am writing to give you an update on our practice of head covering in our church. In September 2014 our church went away for a fellowship weekend where we discussed the subject of Complementarianism and Egalitarianism. As a result our church officially adopted a Complementarian position of leadership which has been written into our Church Beliefs and Values. Head covering for Women: We believe that a woman is required by Scripture to cover her head in any church service where prayer, preaching or teaching is being exercised. This is clearly taught by Paul in 1 Corinthians Chapter 11 verses 1 – 16. There isn’t a single verse in Scripture which cancels the validity of these verses. This teaching is theological, universal and timeless, not cultural, geographically limited or temporary. We believe this is a Biblical requirement for all women (married and single). Although we believe that a woman should cover her head in all TIC Meetings and strongly recommend the practice of head covering, it is not a salvation issue and, therefore, we do not insist on it. Every woman coming to TIC has the choice of whether to cover or not. TIC has very clear and comprehensive teaching on the subject of Women’s head covering and Pastor Robin Bassam’s 65 page head covering Teaching Manual is available to anyone in TIC, on request. Even though every lady in T.I.C. has a choice, nearly half of our ladies use a head covering; and the practice of head covering is increasing in the church. It is now very clear to anyone coming to T.I.C. that our church believes in and practices women’s head covering. New ladies often ask our head covering sisters why they wear a head covering and our ladies are able to give very clear Biblical reasons for covering. A number of ladies have recently started wearing a head covering because of the teaching of the church and the testimony of the ladies who cover. There has never been a single negative comment by anyone and head covering has become very much a part of our church. The response to headcovering has been very surprising and very encouraging because this is happening in Norway, one off the most ‘liberated’ countries in the world. 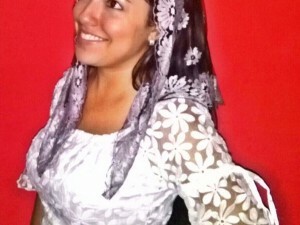 In addition, all the ladies who wear a head covering are aged between 19 and 30 (most of them in their mid-twenties). This weakens the argument that a church practicing head covering will discourage young people from coming to church. The ladies who practice headcovering come from many different countries including England, Russia, the Ukraine, Romania, the Czech Republic, Singapore, Norway and the Philippines. I do believe that the key to a church being ‘successful’ in introducing the practice of women’s head covering is to be very gracious and gentle and to give very clear and comprehensive teaching so that every woman knows why she should cover her head in church. Last year I used four consecutive Sunday services to teach head covering because I wanted our ladies to be very well taught. As a result they are very committed and joyful about head covering. 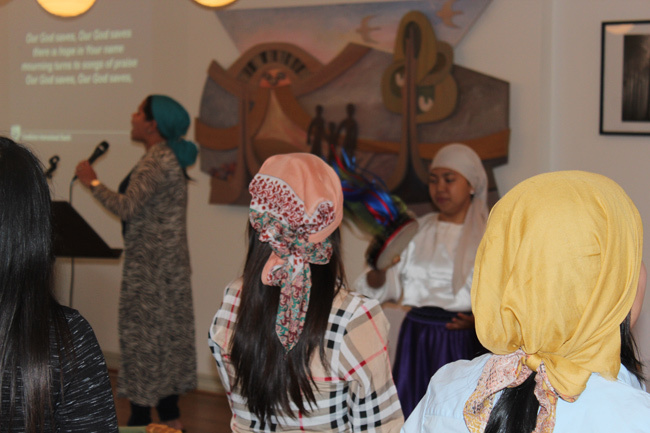 Most of our head covering sisters are from the Philippines where there is no church tradition of head covering. I am currently preaching through the book of 1 Corinthians and will spend another 4 weeks teaching on the topic when we reach the 11th chapter. Our church is very involved in Bible teaching. On Friday evening we have a Bible study and prayer meeting. Most of the ladies (75%) wear a head covering. On Sunday at 2 pm we have our small group Bible study. This is a meeting where all our ladies (by choice) wear a head covering. On Sunday at 4.30 pm we have our Sunday service where about half of our ladies wear a head covering. Although we have no rules regarding what kind of head covering to use the sisters in T.I.C. have all chosen to wear a simple headscarf. In addition, although we do not have any rules with regard to how much hair should be covered, the sisters have decided that a head covering requires the head to be adequately covered. Headcovering is just a part of a spiritual transformation in our church. The direction of our church has changed radically during the past two years as we have embraced a number of the great historical doctrines of grace. Thank you for everything you are doing to restore this neglected, but blessed and important Biblical Doctrine. I’ve attached some recent photos of T.I.C. 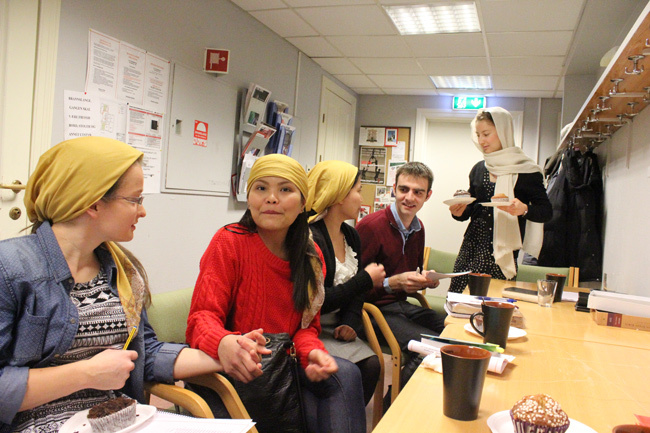 ladies wearing head coverings in recent meetings. 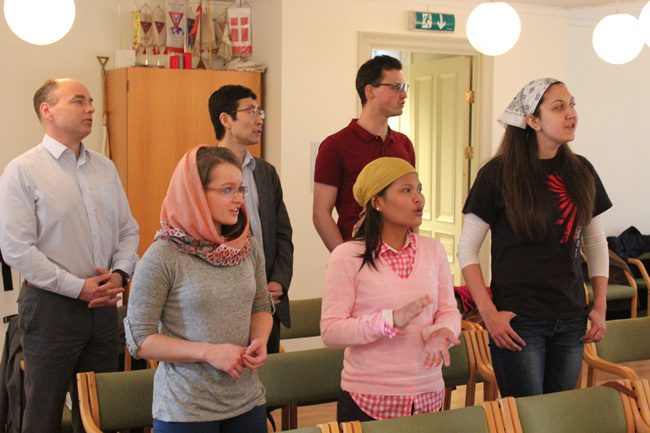 From the left, Marie (pink headscarf) Is from the Czech Republic, Ren (Philippines, gold headscarf) and Irena (Ukraine, white headscarf) during worship at our main Sunday service. Four of our ladies who are committed to headcovering during our Sunday service. From the left, Marie (Czech Republic), Ren (Philippines), Mona Liza (Norwegian, but originally from the Philippines and Anastasia (Russia) with Remus from Romania who is an Elder in our church. This is taken at our small group Bible study where we are studying Bible doctrine using material by R.C. Sproul and J.I. Packer. 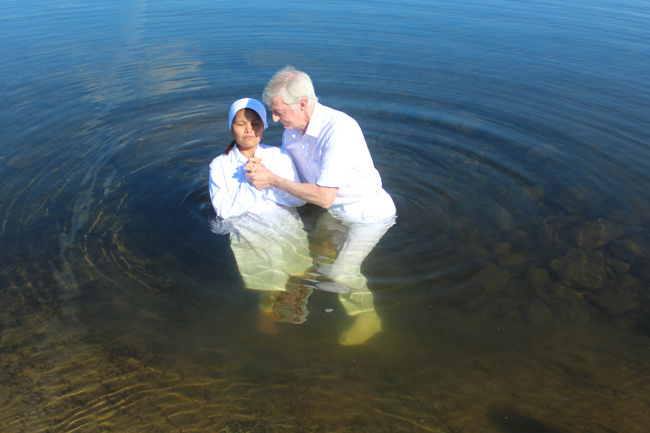 Ren being baptized in a Norwegian Mountain Lake. 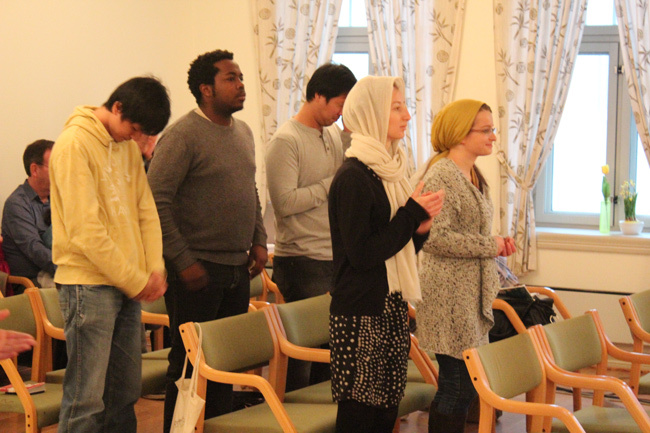 This photo is from our main Sunday service. It features Mona Liza (to the left wearing a white headscarf). 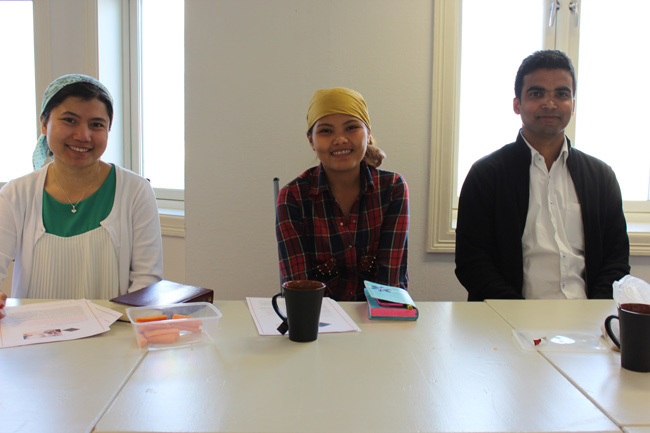 Mona Liza is originally from the Philippines but is now a Norwegian Citizen. Mona Liza was the first of our ladies to cover. For many months she was the only lady to cover. She has a great testimony. 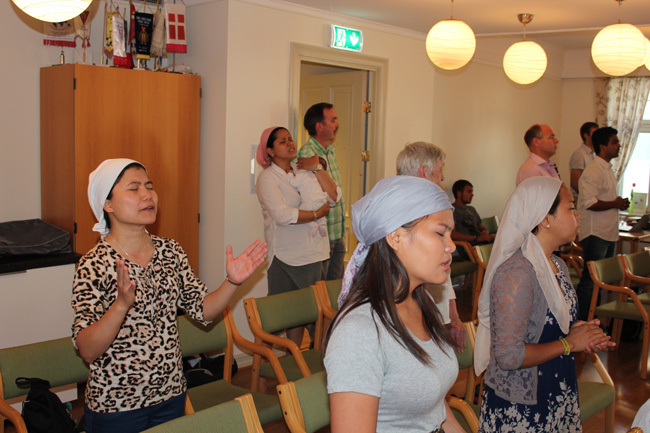 The lady at the back wearing the pink headscarf, holding her little daughter, is Richel (Filipino) who is standing next to her Norwegian husband Pål. Ren from the Philippines is wearing the blue headscarf and tee-shirt. 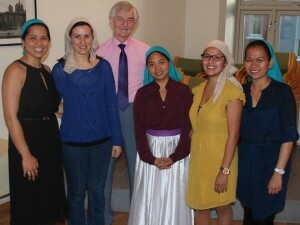 Ellen, furthest right, wearing the white headscarf is also from the Philippines. Anastasia (Russia wearing the white headscarf) and Marie (Czech Republic, wearing the gold headscarf) during our main Sunday service. I was amazed to receive this after only two days of Jocelyn being a Christian. I replied that I would be delighted for her to begin to cover her head. Jocelyn covered her head on the next Sunday and has covered in every meeting. She also covers at home whenever she is reading her Bible or in prayer. I am not very technical but will try to attach some photos of Jocelyn, including my prayer for her after she was born again. May God continue to bless you richly. Praise the Lord! Thankyou so much for sharing your encouraging report of how the Lord has been at work in your fellowship! I was teary eyed reading the ladies’ response of “Don’t worry, pastor…..” It’s amazing that this change has taken place in only 18 months. God bless you and your elders as you continue to teach the Truth. It is so heartening and beautiful to see all of these women covered in worship and study. Praise God! This isn’t directly related to head coverings as such, but I’m curious as to your perspective on male-female modesty in medical situations.